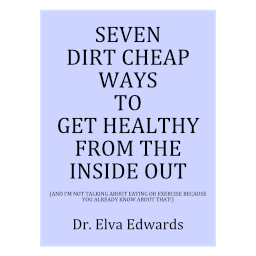 November 2015 – Dr. Elva Edwards, D.C.
Do you have happy feet? When I think about all the work the feet do, the line that comes to mind is from Roger Dangerfield. “They get no respect!” They certainly don’t get the respect they deserve, that is until your feet hurt, and then they have your absolute attention. Then, and only then, do you experience just how important it is for your feet to be happy! Those little things (by comparison) support all of your weight and carry you from place to place. Never compromise footwear by wearing shoes that don’t fit properly. Show your feet some love and massage them! Get a bottle of water and push it back and forth on the floor with each foot. Then a pedicure (yes, you men too)! Ah…the feet are already feeling better. A word that describes our life these days is BUSY. Rest is in short supply and in can really show up in your health. It might hard to take a whole day off for rest and recuperation, but it is possible to take 10 minutes each day to breathe and allow your self to simply BE. Breathe deeply and feel the relaxation. These moments can be caught while you are waiting for your kids or standing in line at the grocery store. Obviously, it would feel better if you were in a chair by the fireplace, but your time waiting is spent anyway, so let’s use it to support better health. And yes, plan that relaxing get-away where you can recharge!! When people hurt, the most common thoughts are, “it will go away.” And sometimes it does go away. That is why it gets confusing. Sometimes it will go away without any intervention at all and sometimes it doesn’t. The body compensates for all the things we do the best it can, but at some point, it can’t compensate anymore and we have pain. That is why maintenance care is so popular. You come in once a month or once every six weeks and get adjusted so the nervous system is capable of compensating once again. You keep changing the line in the sand of how much your body can compensate and that will keep you, outside of trauma, asymptomatic. Schedule your chiropractic appointment. A patient was in my office with terrible back pain. I adjusted her. I worked her muscles. I did reflex points. I used my laser. I really needed to get her out of pain because she had an event to attend. But nothing I did seemed to help. And then I thought, maybe I should check for something emotional. I found, through using NET, there was an emotional element related to her back pain. It cleared, she stood up and the pain was all gone. Sometimes our pain isn’t relieved by what we thought would relieve it. Dr. Candace Pert, who wrote The Molecules of Emotion, once said that when she started researching emotions, she thought emotions were all in the brain. It wasn’t long into her research she realized, emotions are all over the body!